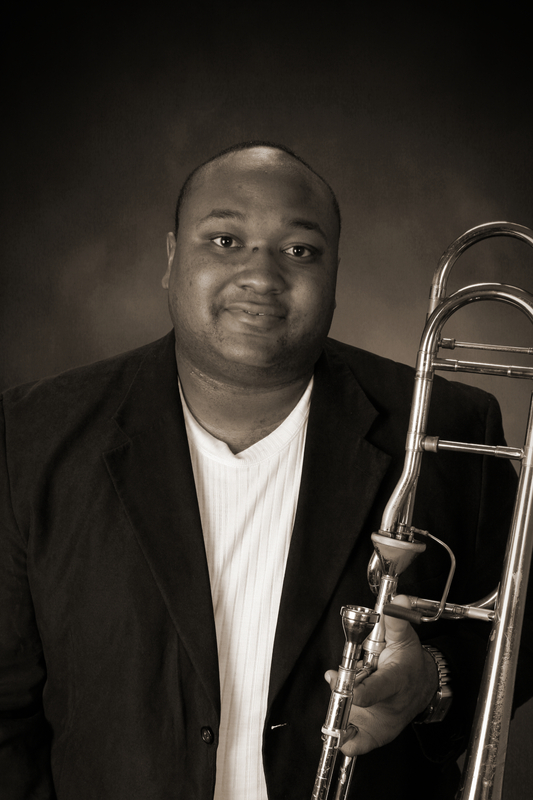 Anthony Williams, professor of trombone at the University of Northern Iowa, will join Parkview, Southview and AHS students for this year’s Ankeny Jazz Artist-In-Residency on April 21-22. The students will participate in clinics and master classes during the school day, the event will conclude with a concert in the AHS auditorium on April 22 at 7:30 p.m. Admission is $5 for adults and $2.50 for students, seniors, and veterans. April is Jazz Appreciation Month and the Ankeny Hawks are proud to again to participate in this community event. Anthony Williams maintains a high volume of performing in classical, jazz, and new music settings. He has shared the stage with artists and ensembles such as Ray Charles, Dirty Dozen Brass Band, Natalie Cole, Slide Hampton, Peter Erskine, Cuong Vu, Rufus Reid, Mulgrew Miller, Jeff Coffin, Roy McCurdy, Clark Terry, David Sanchez, Donald Brown, Ben Monder, Jim Cullum, and Luis Bonilla. His playing can be heard on several recordings which include, albums by The Ryan Middagh Group, Dave Lisik Jazz Orchestra, University of Memphis “Southern Comfort” Jazz Ensemble, and The University of Northern Iowa Jazz Band One playing lead trombone. Williams joined the music faculty at the University of Northern Iowa in the fall of 2013. He has previously taught at the University of Mary, University of Memphis, and Lemoyne-Owen College. Williams also serves as jazz/trombone faculty at the International Music Camp during the summers. Dr. Williams earned degrees from the University of Central Arkansas (BM), University of Northern Iowa (MM), and the University of Memphis (DMA). Dr. Williams is a member of the International Trombone Association, National Association for Music Education, College Music Society, and the Jazz Education Network. He is a Conn/Selmer artist-clinician and plays Giddings and Webster mouthpieces exclusively.